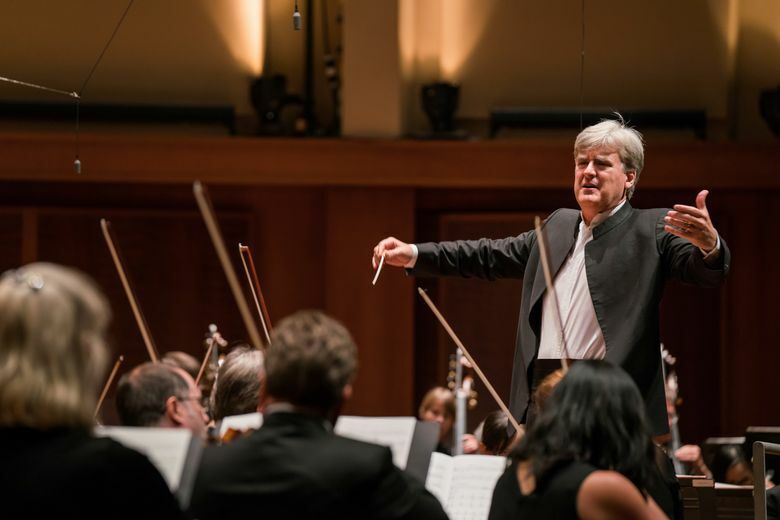 Danish conductor Thomas Dausgaard, who has already connected with musicians and audiences here as Seattle Symphony’s principal guest conductor since 2014, will be the orchestra’s next music director. The Danish-born Dausgaard will succeed current music director Ludovic Morlot at the start of the 2019-20 season, the beginning of his four-year contract. Dausgaard, now 54, first guest-conducted the Seattle Symphony in 2003, and was appointed principal guest conductor in 2014. It was his 2015 Seattle Symphony Sibelius Festival performances, however, that made the tall, silver-haired Dane a popular figure among the city’s classical-music lovers, with standing ovations after every performance, and the kind of connection with players and audiences that conductors dream of. “I am in awe of this orchestra; I’m their biggest fan. I love their excellence, curiosity, and ability to play with abandon,” Dausgaard said in a phone conversation Tuesday morning from his home in Denmark. Dausgaard’s appointment comes at a time when the Seattle Symphony has been broadening its audience, with first-time ticket buyers getting younger. It’s also in a far healthier financial position than it has been in for about a decade, Woods said. 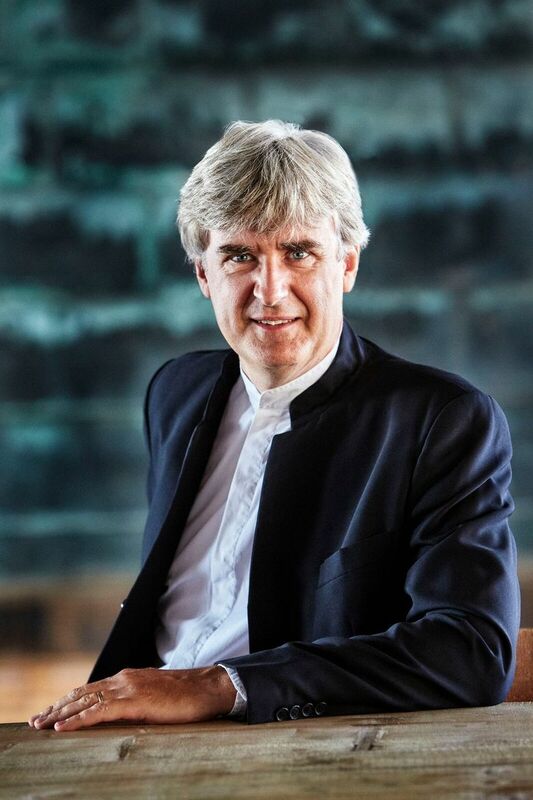 Dausgaard was selected after a six-month search for the successor to current music director Ludovic Morlot, who said this past April that he would leave his music-director post in 2019 after eight seasons with the orchestra. Among Morlot’s achievements are the late-night “[untitled]” series for adventurous listeners, the “Sonic Evolution” series featuring repertoire from rock to hip-hop, and commissions from such composers as John Luther Adams (whose Grammy- and Pulitzer-winning “Become Ocean” was premiered in Seattle). The orchestra’s Grammy-winning recordings of French composer Henri Dutilleux have been released in a box set, on the symphony’s own label, marking the 100th anniversary of Dutilleux’s birth. The orchestra’s principal cellist, Efe Baltacigil, a key member of the search committee, said the players are “extremely delighted” at the selection of Dausgaard. Dausgaard brings to the position a highly individual approach to programming, a deep history with recording, and his experience as music director with a number of important European orchestras, Woods said. He also brings a collaborative approach and an energy that draws the best out of musicians. When Dausgaard conducts, you can almost see the electric charge between him and the players, the eye contact and the mutual awareness of every gesture, as the conductor urges them on and they respond. He challenges the musicians to be minutely attuned to each other and to him, and to pay close, expressive attention to every musical phrase. The results are amply clear to the audience, whose members are swept up in this artistic process and who experience a deepening involvement in the musical experience. In his recent seasons in Seattle, Dausgaard has also gone beyond “just” conducting, providing unusually rich musical contexts for the audience. Local Finnish choirs rose out of the audience to sing a stirring “Finlandia” during the Sibelius Festival; a chorus of alphorns in the Benaroya Hall lobby (pre- and post-concert) demonstrated the sounds that influenced Strauss in composing the Alpine Symphony. And the chorus Cappella Romana sang Russian liturgical music to introduce orchestral works of Rachmaninov, demonstrating the Gregorian chant that Rachmaninov would have heard as a child in the Russian Orthodox Church. Those skills, approaches and traits are paramount in a role that’s at the crux of what makes a symphony great. It is the music director who sets the high musical standards, and the artistic vision that inspires the repertoire that becomes what the orchestra is known for. The music director is also a public figurehead for the orchestra. Changing music directors marks an important crossroads for an orchestra, and it can be a risky business. A conductor might be an acclaimed musician, but a poor fit for an orchestra whose players thrive on collaboration and not autocracy. Another maestro might be a skilled collaborator but lack the artistic vision to bring the orchestra to a higher level. Dausgaard, however, is already well known to both the musicians and the audience here, with a reputation that seems to rise with every performance. He will continue to have many conducting commitments in other countries. He’s chief conductor of the BBC Scottish Symphony Orchestra, as well as of the Swedish Chamber Orchestra (through 2019), and holds two honorary-conductor posts in Italy and Denmark. He also has many guest engagements with other orchestras. Dausgaard and his wife, Helle Hentzer, have three sons. The oldest, who plays the flute, is studying architecture; the second, a cellist, is studying at Warwick University in the U.K., and the third, a pianist, is in the ninth grade and living at home with Dausgaard and his wife in Copenhagen. Information from Seattle Times archives was used in this report. Melinda Bargreen, who has reviewed music for The Seattle Times since 1977, is the author of two books, “Classical Seattle” and “50 Years of Seattle Opera”; she also writes for several print and online publications. She can be reached at mbargreen@gmail.com.